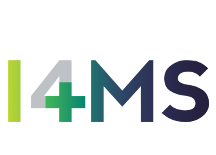 Do you want to know how can I4MS help you? Are you interested in how does this initiative works? Do you own a small or a mid-cap size manufacturing enterprise and you are looking for funding? Here is the new I4MS video in which explains how does this initiative function and how you can get help from it! Watch the video to learn more! Watch HERE the new I4MS video!